Home Beauty Giving Your Hair A Pamper! With countless hair care products available out there, ever wondered if you’re taking proper care of your hair, or if your current hefty-on-your-wallet shampoo is damaging your hair? Should you be using leave-in conditioner, serum, oil replacement products or not? With the hair industry expanding and launching so many products all at once, it can be pretty confusing to choose the right hair products for you! Like many 20 something year olds, I had my hair dyed several times, and didn’t really invest much time in taking care of it that much. I ended up with scruffy looking, split-ended multi-color locks, that I looked and felt glum in a permanent bad-hair day state. I realized it was about time I give my hair some treatment. I went to Kriss salon and asked one of the hairdressers to recommend a treatment for my hair. He told me about the Kérastase Discipline Maskeratine Smooth-in- Masque. He told me this will help bring my hair back to life again! He did it for me and showed me the steps and told me to do it at home as well. It’s price was approximately 400 EGP. I felt a noticeable improvement in my hair. It looked much healthier. This product is not for everyone, my hair dresser recommended it as my hair was damaged and I’ve repeatedly dyed it before. You won’t find this products in pharmacies. 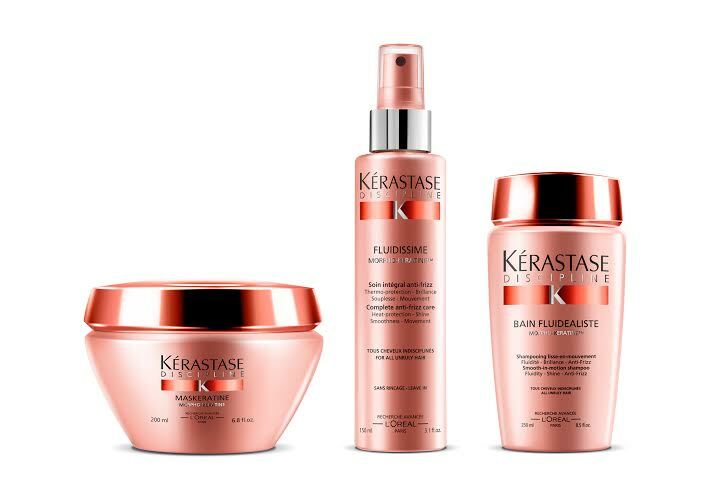 The good thing about Kérastase is that it is one of the very few brands that provides you with a specialist available to give you FREE consultation here in Egypt in select salons. It’s great that you know exactly what your hair needs and buy suitable products accordingly. To me, trying out Kérastase was a great experience, although it might be slightly overpriced in comparison to other products, I felt it was worth it. My hair looked treated, as I used the product at home, its condition got noticeably better. My hair is no longer damaged! Next article4 Healthy Options In Cairo For Your Sweet Tooth!